CEBU CITY- Emmanuel Pacquiao a.k.a. Manny Pacquiao, who will fight with Adrien Broner tomorrow in the MGM Grand in Las Vegas, USA, has a special sort of fan and well-wisher. It's none other than his namesake, Emmanuel Pacquiao, a lawyer here and no ordinary in the strictest sense of the word because he has been a topnotcher when he passed the Philippine Bar Examinations in 1975. Atty. Emmanuel “Tom” Pacquiao, 70, was the 3rd placer in the Top 10 list then emanating from the University of the Visayas (UV) law school where several bar topnotchers has also been produced. “I really wish him well on fight night. Senator Pacquiao had already done a lot for our country, the honor that he brings is indeed a treasure for all of us Filipinos. I hope and pray that in all other advocacies apart from boxing, he would be successful,” said the topnotch lawyer in Cebuano. Atty. Pacquiao hails from Tuburan, a town that is three municipalities away from Pinamungajan where Senator Pacquiao’s father, Rosalio, was born (Rosalio migrated to Bukidnon in Mindanao where he met Dionisio Dapidran and had the fighting lawmaker as their eldest child). Atty. Pacquiao is the son of the late Atty. 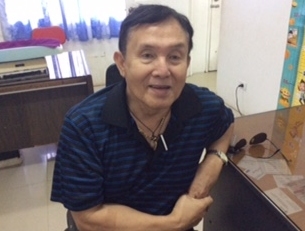 Nazario Pacquiao, then the Cebu City Attorney and confidante of former Mayor Eulogio “Yoyong” Borres, the firebrand Mayor of Cebu City. Nazario also had a stint in politics as Provincial Board Member during the administration of Gov. Osmundo Rama. Another brother of Atty. Pacquiao, Atty. Catalino Pacquiao is an immigration lawyer based in New York, USA. One of his children, Portia is also a practicing lawyer. Of all the siblings, Atty. Emmanuel is the only child of Nazario who opted to reside in the Philippines, all are living in the USA. His elder sister Minervina is in Las Vegas while younger brother Edward is in Hawaii. Despite his impressive credentials, Atty. Emmanuel avoided limelight however. He said he prefers it that way. “I am just simple. I do not want fanfare, ” he told this writer. Asked about his forte in lawyering, he said he went to corporate law practice. He served the Aboitizes and the most part with the Metro Cebu Water District (MCWD). He is now a legal consultant of the Mandaue City College (MCC) after he rested as its registrar and administrator. Low key as he is, Atty. Emmanuel has one wish. “He is our idol. How I wish to meet him one day. I would be very happy if that happens, Emmanuel Pacquiao meets Emmanuel Pacquiao,” he said his voice trembling as he avers not meeting even once Emmanuel “Manny” Pacquiao, the boxer. When that happens, two Emmanuel Pacquiao in one place, the moment would be memorable if not historic. For the meantime, let us savor first the Pacquiao-Broner encounter for the World Boxing Association (WBA) welterweight title. Take your pick. Photo: EMMANUEL PACQUIAO. Atty. Emmanuel “Tom” Pacquiao, the namesake of Emmanuel “Manny” Pacquiao. He wishes his “tokayo” well at fight night vs Adrien Broner. (Tonton Alcos-Antogop). Click here to view a list of other articles written by Tonton Alcos-Antogop.